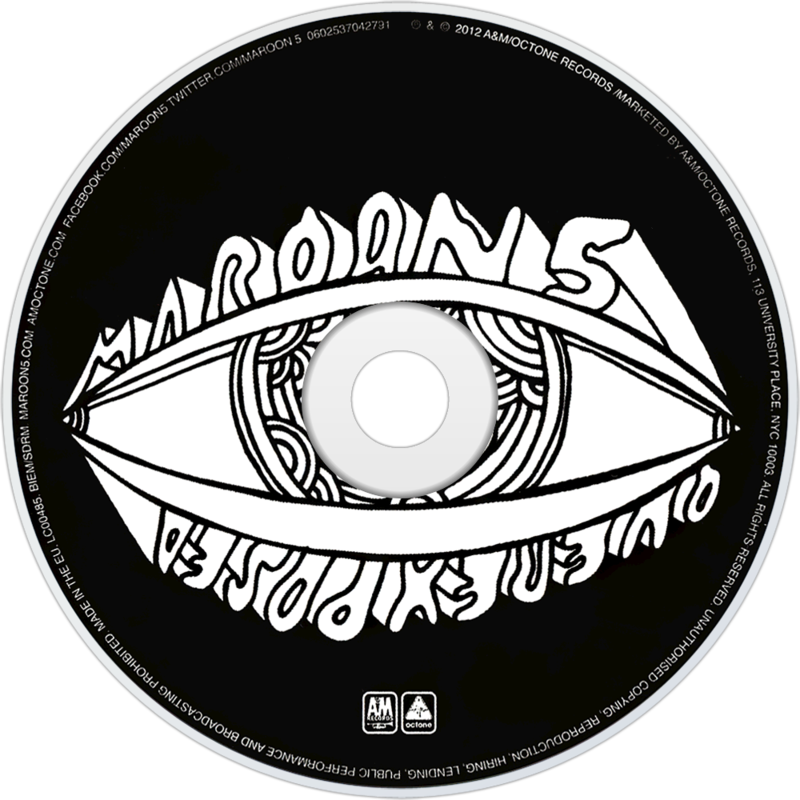 Overexposed is the fourth studio album by the American pop rock band Maroon 5. The album was recorded between 2011 and 2012 and was driven after the moderate success of their third album Hands All Over (2010) and later by the successful re-release single "Moves Like Jagger". The album was released on June 26, 2012 in the United States by A&M/Octone Records. The band worked with different producers, such as Max Martin, who serves as the album's executive producer, Ryan Tedder, Shellback and Benny Blanco. Levine's usual co-writer and lead guitarist James Valentine only has four credits on the album. The band has said that it is their poppiest album, featuring mostly pop oriented tracks, combined with pop rock, dance-pop disco and reggae sounds. The accompanying artwork is a colourful collage of illustrations seemingly inspired by the likes of Picasso and a range of modern cartoonists. 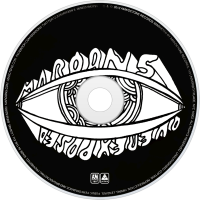 Its title is a smirking allusion to Levine's ubiquity, while its sound is a reflection of how the group wishes to retain the large audience they won once again with "Moves Like Jagger." The album's lead single "Payphone", featuring rapper Wiz Khalifa, produced by Shellback and Benny Blanco, was released and performed on The Voice on April 16, 2012. The song was a success, reaching number two on the Billboard Hot 100 chart, as well as on the ARIA Charts, while it topped the UK Singles Chart, Canadian Hot 100 and Italian Singles Chart. A second single "One More Night" was released on June 19, 2012. The album received a mixed reception from music critics. Some praised the album, calling it a classic record and naming their best album. However, many criticized the direction that the band decided to take, calling it a failed tentative to become mainstream and noting that the others members have small role on the album. Everyone has friends that don’t wish to keep up with the daily goings-on in global popular music, but like the odd update now and again so as not to feel left out and fossily. Maroon 5 are fast becoming their perfect band, being a fairly reliable and glossy barometer of how modern pop songs work – give or take a dubstep breakdown here or there. So if the melodies on their fourth album have become more fragmented and repetitive, that’s because pop music tunes have gone that way too. One More Night’s melody can’t go more than a bar or two without repeating – as if the band is worried it may forget itself ­– or getting stuck on a Morse code note for a while, just like a Rihanna song would. And if their choruses have abandoned the strutting cockerel heat of This Love in favour of the saturated rave bliss of Love Somebody or The Man Who Never Lied, that’s simply the effect of market they have chosen to operate within. They are also keenly aware that today’s pop does not require much in the way of unattended music. Adam Levine fires up that nasal yelp as soon as the song begins, and does not let up until the fadeout. Wiz Khalifa (guest rapper on Payphone) gets more space at the front of the stage than the rest of his band do. The exception is the Jacko-channelling (and distinctly old-fashioned) Ladykiller, which boasts an actual guitar solo. Otherwise every passing second is a vocal battle against a declining attention span, like a clicked finger in the face, forever. Even the sequencing of the songs betrays this fear. All the compressed pop bangers – worked up with proven song-finishers like Ryan Tedder, Savan Kotecha and Brian West – are at the front, so you don’t wander off too soon. If you think these factors combine to suggest a collective lack of confidence or personality, take heart: Overexposed boasts cover art so kaleidoscopically brash and ugly it makes you grateful for the decline of vinyl.